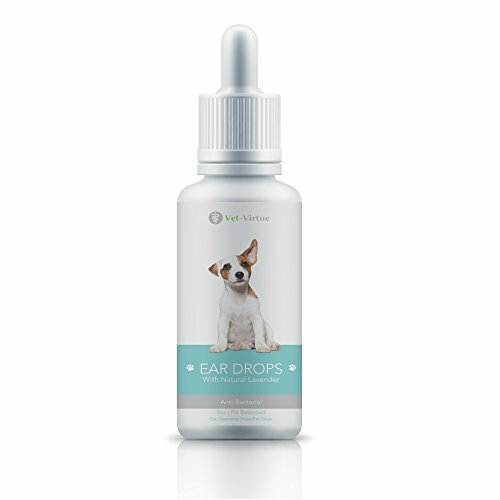 Introducing Vet-Virtue's Ear Drops For Dogs! Be The First To Get It at 75% Off! 634 available at $5.99! Order Right Now At $5.99 With Confidence! Inflammation and frequent itching are often signs of ear infections caused by bacteria and antibiotic-resistant organisms. If you don't keep your pup's ears clean and free from wax build-up, they become a perfect place for an infection to grow. Vet-Virtue's Ear Drops help fight infection by killing bacteria, assisting in shedding dead or rough skin AND leaving your pup's ears smelling like natural lavender. For dogs who are already itching away at an ear infection, some treatments are not too comfortable. Luckily, these ear drops are non-irritant and will assist in reducing the itching by targeting the source of the infection. No added artificial fragrance or perfume means your dog's naturally strong sense of smell won't be overwhelmed by chemicals that create other problems. Natural lavender oil soothes and leaves behind a slight, fresh, lavender scent. Order right now at only $5.99 with confidence! Rest easy knowing that these drops are made right here in the USA! Formulated and manufactured in a FDA-approved facility, that is GMP certified, and is a preferred manufacturer with the National Animal Supplement Council.